Perfect for your budding Mouseketeer! Comfort and style with holes shaped like those famous mouse ears and a Mickey pattern on the band. 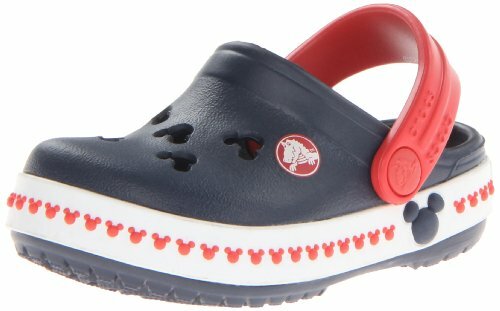 Popular Crocband style with special Mickey design. Croslite material for cushion and comfort. Non-marking soles.